Employers will be hit with a $30 bill if they insist on an unnecessary sick note. 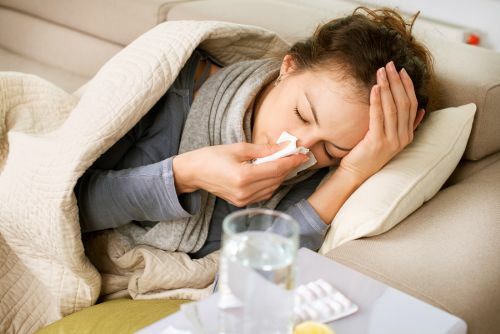 Some HR professionals face a never ending battle with certain employees who insist on taking sick day after sick day but one Novia Scotia doctor is showing no sympathy and has decided to charge employers $30 for a worker’s sick note. "If an employee said they are sick, their employer should probably trust that they are telling the truth if they have a good relationship with them," said Ether Cooper-Rosen, of Woodlawn Medical Clinic. "The patient doesn’t want to pay for the note and the employer generally doesn’t want to pay for the note." The Nova Scotia physician revealed that she gets three to five requests for a doctor’s note each week, notes which are not covered by Medical Services Insurance. On average, Canadian workers miss 7.4 days per year due to sickness (Nova Scotians miss slightly more at 8.5), so if the scheme takes off, employers who are particularly strict on tracking absenteeism will be hit with rising costs. If you’re always chasing sickly staff members for that elusive doctor’s note, it might be time to reevaluate your absenteeism approach or face a hefty bill. What do you think? Is it unfair to expect employers to foot the cost for simply doing their job?